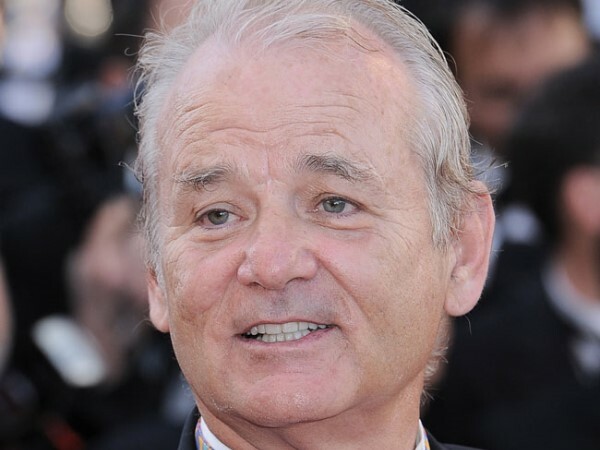 Bill Murray says he taught himself Japanese by testing chat-up lines he found in a book called Making out in Japanese. "And I would always have a lot of fun with that, but that one particular day, he said, 'Would you like some fresh eel?' and I said, 'Yes I would'. So he came back with a fresh eel, a live eel, and then he walked back behind a screen and came back in 10 seconds with a no-longer-alive eel." The star also recalled the "real fiesta" he had filming 2009 stop-motion animation Fantastic Mr. Fox with the likes of George Clooney and Meryl Streep, claiming the all-star cast once got so drunk they couldn't stay upright. Bill said: "It was great fun, because it just dragged on and on and on. And it was this fun bunch of people. First we went to our friend's farm, and we all stayed at her place for a handful of days while we recorded during the day and then at night we would have these magnificent meals and we would all tell stories. "We had a lot of great food, a lot of great wine and great stories. It went on until people started literally falling from their chairs and being taken away. "And then we had to go to another place and do it again, we went to George's place, but then something happen[ed] and the whole party broke up, and George said, 'You don't have to go, do ya'and I didn't, so we just kicked around Northern Italy for a while. It was a real fiesta."